Lambda Legal Miami hosted an important and informative presentation on LGBTQ Youth in Foster Care at Akerman’s Brickell City Center Office. Currey Cook, Esq., Counsel & Youth in Out-of-Home Care Project Director for Lambda Legal, opened with the sobering reality that LGBTQ youth are overrepresented in foster care and then exit to homelessness at higher rates than the average foster care population. Robert Latham Esq., Associate Director of the Children & Youth Law Clinic at the University of Miami School of Law, spoke on the importance of child welfare and LGBTQ groups engaging with each other and making sure that few protections and anti-discrimination policies that exist are enforced. He explained that advocates must be educated to not only have the legal tools to speak up in court, but to also understand the basics – the difference between gender identity and sexual orientation for instance. Calvin Martin, Director of Program Advocacy & Inclusion of Florida’s Statewide Guardian ad Litem Office addressed the need to seek out allies and train advocates for LGBTQ children. 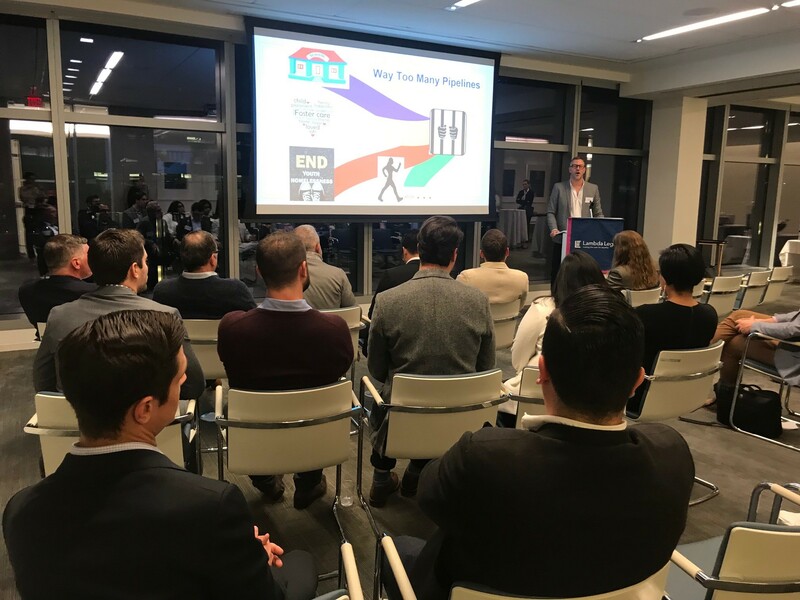 He highlighted the curriculum that GAL was developing in partnership with Lambda Legal to reinforce this important subject matter for their 10,000 volunteers. He underscored the importance of evolving outreach efforts to an identified at-risk population that needs legal protection and community support.